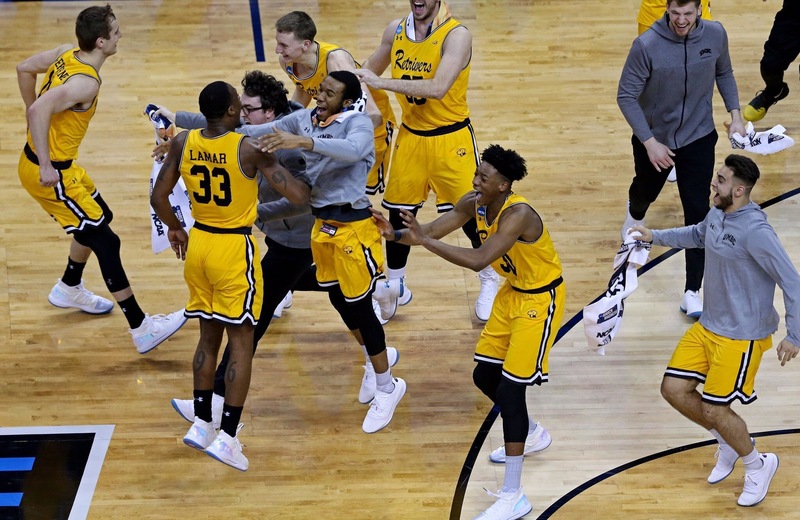 There was an historic upset last night in the NCAA tournament when the University of Maryland Baltimore County became the first 16-seed to ever upset a 1-seed, Virginia. In other words, the team ranked last, beat the team ranked first (in fact, UVA was favored to win it all). But UMBC didn’t let that Goliath intimidate them, did they? That’s the beauty of March Madness and tourney time: the past season doesn’t matter, all that matters is the present game! Is this not also a beautiful reminder of how all of our past sins have been forgiven through Christ and that we need to “keep our heads in the game” by focusing on the present! The devil wants to run the tape of all your fouls and turnovers over & over in your mind’s eye. He wants to drudge up all those past mistakes & transgressions because if he can, he can distract you. He plays dirty. The Holy Spirit reminds us that those past missteps are just that: PAST! and that our Father remembers them no more. He reminds us that God loves us and that Jesus is our righteousness not anything we have done or not done! So, forget last season’s losses, know that you are forgiven, and live in victory! … and of course: Go Mounties! -If this blessed you, please Like & Share! This entry was posted in Christian and tagged basketball, Bible, blessed, Christ, Christian, Christianity, church, Disciple, Discipleship, Evangelism, Faith, God, God Bless, God Loves You, God's love, Gospel, Health, Hermeneutics, Holy Spirit, Hope, Intentional Living, Jesus, Jesus Christ, Leadership, life, Lord, Love, march madness, Ministry, NCAA, Not a Fan, practical application, prayer, Preach, Religion, Religion and Spirituality, Salvation, Scripture, Spiritual Growth, spiritualwarfare, tournament, Truth, ubmc, uva, victory, Worship. Bookmark the permalink.